At present, many research activities are being carried out in the department for better development of health care services, evidence based practice and framing policies related to geriatric mental health. The Department of Geriatric Mental Health is making efforts to collaborate with other such institutions/organizations in the country and abroad to undertake all such functions and research activities, which will help in providing better understanding of the geriatric psychiatric patients to ameliorate their problems. Apart from these, the Centre for Advance Research, Training and Services (CARTS) in Aging and Geriatric Mental Health is also instituted vide G.O. no. 4237/71-2-13-KGMU-55/2013 dated 21.11.2014 in the department, which was announced in year 2013 on 19th August during 8th Foundation Day and 9th National Conference of GERON-13 by Hon'ble Chief Minister Shri Akhilesh Yadav ji of Government of Uttar Pradesh. Further, various posts and contingency budget were approved vide G.O. no. 4774/71-2-14-KGMU-55/2014 dated 14.01.2015 by State Govt. CART's first study Lucknow Elderly Study (LES) on Ageing and Geriatric Mental Health has been launched on 16th March, 2015 by Ho'ble Vice Chancellor Prof. (Dr.) Ravi Kant, KGMU. Study areas for the study has been selected by him and screening/ recruitment of study subjects is being done. Appointment of CARTS team has been done on contractual basis till regular appointment. The Faculty and Research Staff of the department have published 19 articles in the different indexed and peer reviewed journals in previous year i.e. 2014-2015. One book chapter have been written. The detail information is given separately in Research Updates of the Department (Vriddhotthan). A Souvenir entitled as "Vriddhotthan" is being published regularly with blessings of dignitaries of the country and abroad on each foundation day function of the department. Awareness articles by the faculty and students have been published in the Souvenir and also have been well appreciated by the readers. Article entitled "Development and standardization of scale to assess satisfaction and expectation of older adults in old age homes by Akbar S, Tiwari S.C., Tripathi RK, Kumar A, Pandey NM. 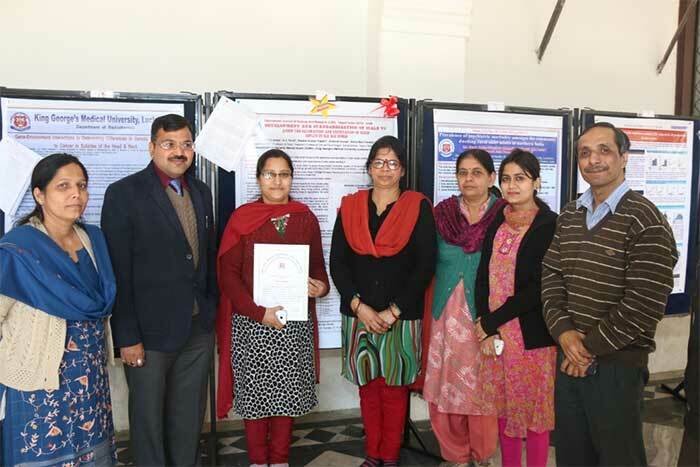 Awarded as best poster award 10/02/2015 among Medical Science section of published paper in Research Showcase King George's Medical University, Lucknow, UP, India. Member, Core Committee of Indian Council of Medical Research, New Delhi, on Geriatrics. Member, IPA, USA Task Force on Development of Course Curricula for Psychogeriatric Education. Member of editorial board of the International Open Access Journal of Gerontology & Geriatric Research published by OMICS publishing group (www.omicsonline.org).